In addition to the projects mentioned on the home page, here are finished projects from the past couple of years. So, what's new? 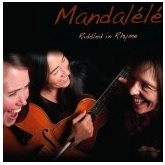 I tweaked, mixed and mastered the recent cd by MANDALELE, 'Riddled in Rhyme'. This is former Trapezoid member Lorraine Duisit along with Wendi Sirat and Frances Miller, a lovely cd with 3 part vocals, original songs, nice instrumentation. "Adrienne Young-Ramsey, Americana Artist with 3 cds and a Grammy nomination to her credit, has been experimenting with new songs and sounds here at Small World Music. A goodly portion can be heard on the song we finished recently called 'The Happy Journey', a shaker hymn published in the early 18th century. The joyful spiritual message, and endeavor for simplicity, is artfully juxtaposed with complex layers of ancient instruments, haunting and mysterious that reveal sounds anew with eah listen." And Baltimore resident David Bach keeps putting out interesting cds, and I was able to play tracks on 3 tunes for his upcoming cd and enjoyed it immensely, and used my new RSR tenor and curved soprano saxes(blatant but deserved pitch). 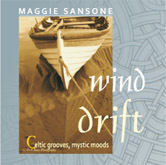 Recently finished projects include this new cd from Maggie Sansone that I produced, recorded, mixed and mastered in the past couple of months, slated for release in the next month. Titled 'Wind Drift', we were fortunate to have both Al Petteway and Robin Bullock on guitar, mando and cittern, along with great bodhran playing from Matt Bell. I played keyboards and winds. 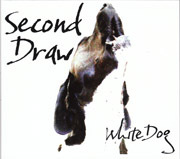 Batesville's own Second Draw just released their debut cd 'White Dog', recorded, mixed and mastered here over the past months. It's a great blend of bluegrass and rock with excellent songwriting, and great guitar playing from guest Aaron Evans. 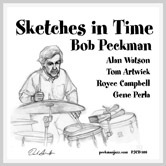 Drummer Bob Peckman has released his cd 'Sketches in Time', featuring the great bass playing of Gene Perla, former sideman with the great Elvin Jones, along with a great cast of players from the Roanoke and Lexington areas. It was recorded, mixed and mastered here in the spring. Ever prolific Jason Pollock of Seven Mary Three fame is about to release his 4th cd in the past few years, called 'French Girl'. The bass and drums were tracked here, then he took those tracks and laid down all his guitar and vocal tracks, brought it back in and had me play organ/synth parts, at which point I mixed and mastered it. 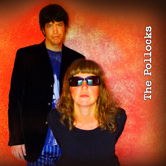 In addition, we tracked the bass and drums for a 5th cd to be finished and released in the winter or spring. Walkers Run, this mainstay of Central Virginia bluegrass is back together with some new personnel, and are working on recording of hopefullly a full cd. I've gotten 2 songs mixed and it's wonderful. The 4 song self titled ep by Woven Green produced by Bobby is out, already getting some nice reviews. 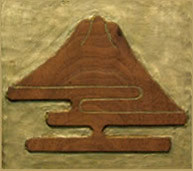 This eco-consious rock quartet is doing very interesting stuff. 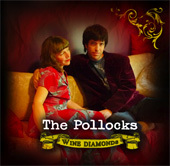 The Pollocks cd, Wine Diamonds has been released, with mixing and organ by Bobby. Jason is fast at work on the next cd as we speak. 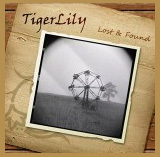 Tigerlily has released their cd, Lost and Found, and is playing actively in the Central Virginia area. Robert Jospe and Inner Rhythm have released a 4 songs ep titled 'Inner Rhythm Now', recorded and coproduced by Bobby. It's a fantastic jazz/world beat excusion by these consummate musicians. It's done and it's great - the new cd by The Brew from Amesbury, Mass. Produced by Bobby here at Small World in the winter, the band is out playing a lot in the Northeast and Mid-Atlantic. Music clips available on their website. 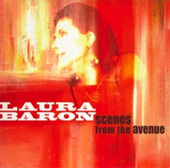 Laura Baron's new cd, Scenes from the Avenue, is finished and out and also turned out great. Check out her website here for more info. 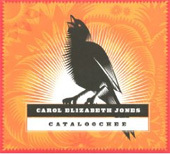 Also completed in the past few months were a jazz quartet cd for guitarist Lew Woodall, a cd of harp music by Jennifer Hall, and mixing of Carol Elizabeth Jones' latest project, Cataloochee. And the Free Bridge Quintet came in to record and video tracks to accompany an upcoming book by UVA music professor Scott DeVeaux. Royce Campbell has come in and recorded a second Jazz Guitar Xmas cd as well as a duo cd with vocalist Paulien. And even more recently Royce, along with drummer Ron Free and bassist Bob Bowen, has recorded 2 more cds - one of standards, and another cd of more free improvised music. The first of those collections has been released on Philology, titled 'All Standards and A Blues'. 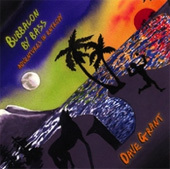 I'm thrilled to announce here the release of the Dave Grant 'Bubbalon By Bass' cd. Please go the website and read the story behind this amazing and unique cd that includes performances from the Rowan Brothers, Tim O'brien, Robin and Linda Williams as well as Dave Matthews. 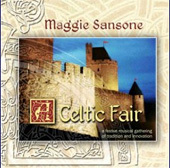 Also check out the cd I produced, arranged and played extensively on for Maggie Sansone called 'A Celtic Fair'. Also features my lovely wife Sara, now a nurse, on fiddle.